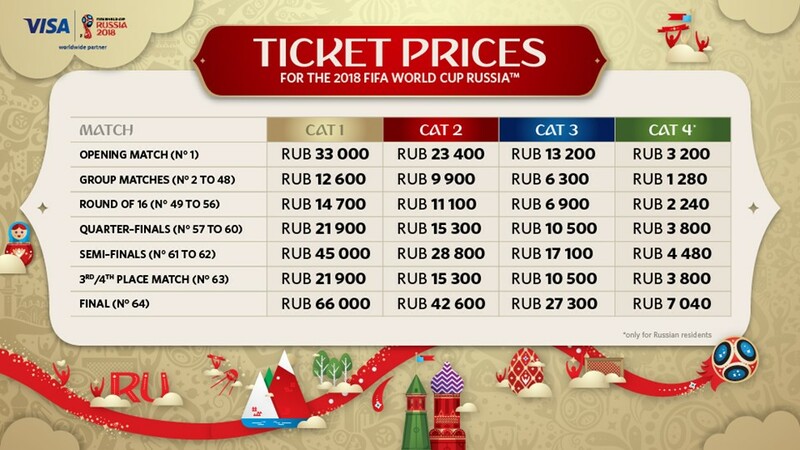 Some costs, dates, and updates on the FIFA World Cup 2018 that you need to know. 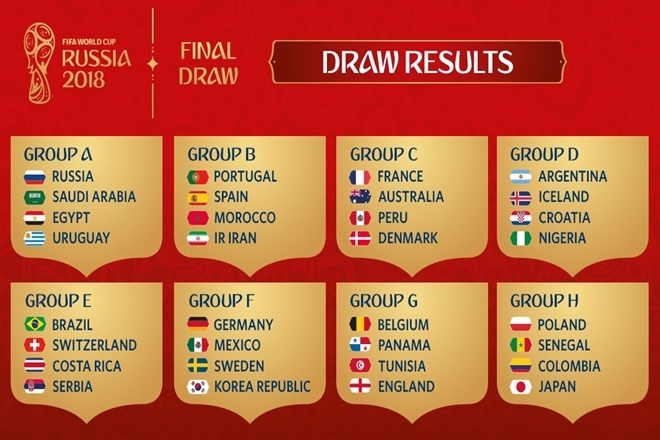 The FIFA World Cup 2018 groups were just announced the other day. It was a much anticipated, yet bittersweet, moment. Highly anticipated by those who want to see how easy/tough their group is going to be (to get out of), and bittersweet if you are a huge fan of Italy, the Netherlands, the USA, Cameroon, or any other team that didn’t qualify for Russia. So, are you still watching? The last time Italy didn’t qualify was in 1958. The last time the USA men’s team missed the World Cup was in 1986. Cameroon was another cause for sadness after 7 world cup appearances and the most successful team from Africa. Of course, only five group winners in the final round get through. The host country, Russia, didn’t have to qualify and that is good for them as they may be one of the weaker teams in 2018. Even so, this is a much anticipated World Cup (see qualifiers here: http://www.goal.com/en-us/news/world-cup-2018-qualifiers-qualified-teams-russia/1usqtikmujnfl1tnyihqyvvwlv) with Brazil and Germany being big favorites. While Germany is the defending champion, no team has repeated as world champion since Brazil, in 1958 and 1962. Learn a bit more about the various teams here: http://www.telegraph.co.uk/football/2017/12/01/world-cup-2018-groups-guide-teams/. Portugal, like the Italian team and the Netherlands, are getting older, but they still show they can win as the 2016 European Champions. They are also difficult to score against. Portugal is coming off their win at Euro 2016 and is currently ranked No. 3 in FIFA rankings while Spain (whom they face the second day of the World Cup in Sochi) is No. 6. France, despite Les Bleus losing the 2006 World Cup final (to Italy in a penalty shootout), and losing to Germany in the quarter-finals of the 2014 World Cup, are also very strong and very hopeful this year. As is Spain. So is there a “Group of Death” in 2018? Or will groups based on FIFA rankings going to balance things out? Is it Argentina, Iceland, Croatia and Nigeria (Group D)? Iceland had a magical run at Euro 2016 and Croatia was on pace to win the whole thing before fizzling out. Nigeria also beat Argentina in a friendly. But Argentina will be up for the challenge. Is it Group B since Portugal must face Spain? France may have the best group in C. Am I overlooking England? Belgium? There is a lot of star power in Group G with both Belgium and England. They will face each other on June 28 in Kaliningrad. Do you plan to watch? Do you plan to attend? Regardless of your country of origin or residence, Good Neighbor Insurance can help you travel safely and with excellent health insurance protection while traveling to Russia and back home again. All of our plans also feature emergency evacuation if needed for a very affordable price. Ticket sales resume December 5th, 2017 (tomorrow) – January 31st. Luzhniki Stadium in Moscow will be used for the opening match, a semi-final and the final. A helpful Russian blogger posted some relative costs to help you get an estimate. You could also see a full breakdown and comparison if you chose a package tour instead here (From 2014): http://www.hullfinancialplanning.com/how-much-would-you-have-to-budget-to-go-to-the-world-cup-in-2018/. Discussion over costs and alternatives can be found at TripAdvisor. Travel insurance for 11 days, worldwide with $500,000USD in coverage and emergency evacuation, will be approximately $20USD based on age. Contact us at info@gninsurance.com for an exact quote or go to https://www.gninsurance.com/information-needed-for-insurance-quote/. This will help if bags are lost, if you get sick or injured while in Russia or on the way, if you were to get mugged,…There are many additional benefits to travel medical insurance so you are not alone in case of an emergency. Even medical translation services so yuou can better understand what a doctor is telling you or what drugs they are recommending. And it is available to you 24/7. You usually do not secure travel insurance until about 30 days before a trip. BUT, Good Neighbor Insurance can get you a quote and set a reminder so that you can get it out of the way sooner than that and have us remind you when it is closer to the dates of your travel. Simply ask us to set a “pending” to get back to you 30 days before your flight and we’ll handle the rest. So when I mentioned favorite teams to win the World Cup, I left out BRAZIL! What?! They are equally favored along with Germany, but I was just not thinking too clearly after seeing the groups released for the first time! That’s what happens when you don’t have a script and just speak off the top of your head! Apologies to our Brazilian fans! 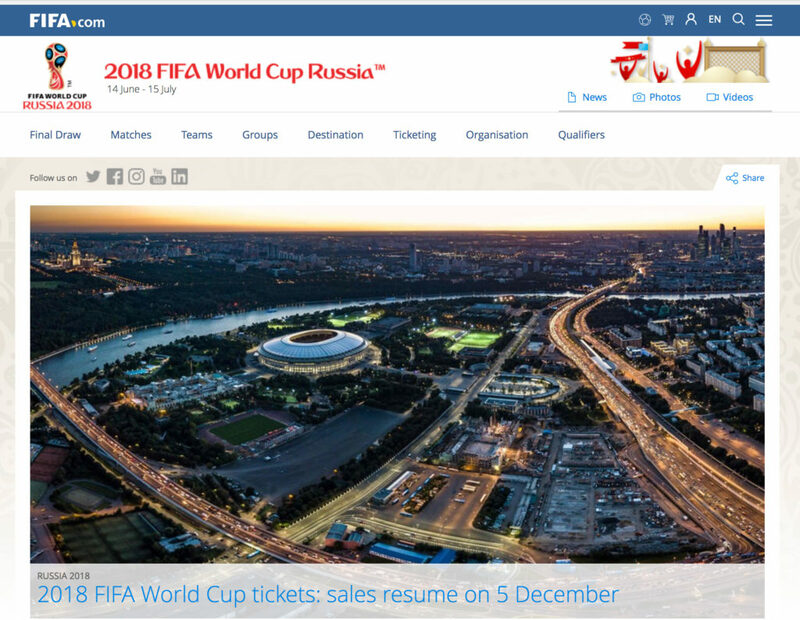 Blog Home > International Travel Insurance > Travel ideas > 2013 - 2019 updates > Going to the FIFA World Cup 2018?